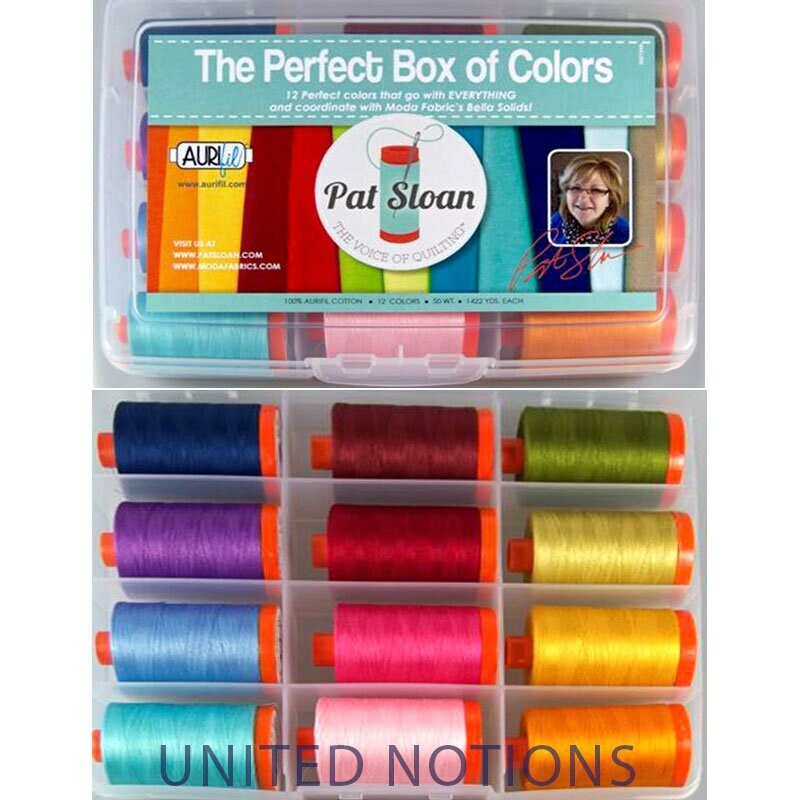 Pat Sloan's "Perfect Box Of Colors" thread collection by Aurifil goes with EVERYTHING and coordinates with Moda Fabrics Bella Solids! 12 large spools of 50wt, 100% Aurifil Cotton Thread, 1422 yds on each spool. The colors included in this Collection are 1133 - Bright Orange, 2140 - Mustard, 2260 - Wine, 2423 - Baby Pink, 2460 - Dark Carmine Red, 2530 - Blossom Pink, 2540 - Medium Lavender, 2720 - Light Delft Blue, 2783 - Medium Delft Blue, 2887 - Olive, 2920 - Light Brass, and 5006 - Light Turquoise.